Oppo is all set to launch its F9 series smartphones in Asian markets. Now the Chinese company has confirmed the specifications and design of the F9 smartphone on its Vietnamese website, where it will be launched on August 15. The Oppo F9 will be launched as F9 Pro in India as the successor of Oppo F7. Oppo India has also posted a teaser on its YouTube channel which also confirms the design of the smartphone. The teaser reveals that the Oppo F9 Pro will come with Helio P60, 25MP front camera, waterdrop notch display, and 3500mAh battery with VOOC flash charge tech. 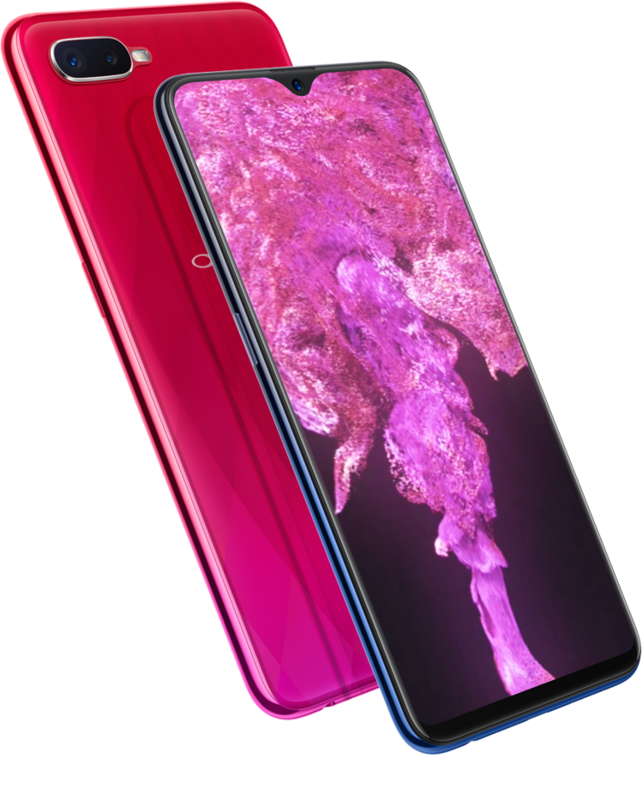 The Oppo F9 Pro will sport a 6.3-inch FHD+ (2280 x 1080 pixels) display with a 19:9 aspect ratio. It will be powered by an octa-core MediaTek Helio P60 processor with ARM Mali-G72 MP3 GPU, up to 6GB RAM, and 128GB internal memory, which is expandable up to 256GB with a microSD card. In terms of camera, there is a dual rear camera setup with a 16MP primary camera with LED flash, f/1.85 aperture, and a secondary 2MP camera. There will be a 25MP front-facing camera with Sony IMX576 sensor and f/2.0 aperture. The Dual SIM phone runs ColorOS 5.2 based on Android 8.1 Oreo and packs a 3500mAh battery with VOOC Flash charge fast charging support. Connectivity options include 3.5mm audio jack, Dual 4G VoLTE, WiFi 802.11 ac (2.4GHz + 5GHz), Bluetooth 4.2, and GPS. The OPPO F9 Pro will be priced at 7,990,000 Vietnamese dongs (Rs. 23,520 approx.) in Vietnam. It will come in Sunrise Red, Twilight Blue and Starry Purple colors with a radiant back panel. It will be launched in Vietnam on August 15 and based on the teasers on the OPPO India website, its India launch is also expected in coming weeks.